The Fossil Group and Google have exclusively revealed to Wareable that Google will pay Fossil $40 million to buy intellectual property related to a smartwatch technology currently under development. The deal, which will see some of Fossil’s R&D team joining Google, will result in the launch of a "new product innovation that's not yet hit the market". That's according to Greg McKelvey, EVP and chief strategy and digital officer of the Fossil Group, who also stated to us that he sees the deal as transaction, rather than an acquisition. He explained that this new product line is based on technology that the Fossil Group has evolved on top of the Misfit acquisition. Fossil bought Misfit for a reported $260 million back in 2015. "It's based on something out of our timeline, it's new to the market technology and we think it's a product that has features and benefits that aren't in the category today," he said. 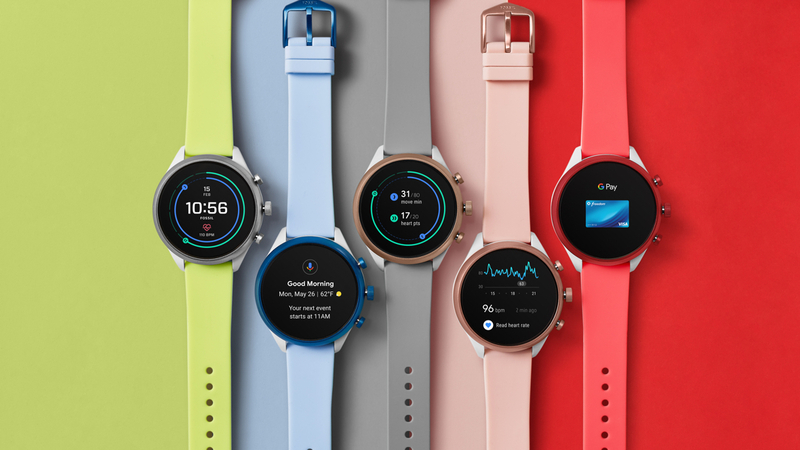 Stacey Burr, VP of Product Management of Wear OS at Google explained to Wareable that the deal highlights the company's commitment to the smartwatch genre and confirmed that the new product line will sit within the Wear OS family. "We saw some technology that they were developing that we thought could be brought out in a more expansive way if Google had that technology, and was not only able to continue to use it with Fossil but bring it to other partners in the ecosystem," she said. "It's about bringing great features to the widest numbers of on-the-go consumers." The transaction is expected to be finalised this month, although neither company would reveal when exactly we're likely to see products from the deal emerge. McKelvey did reveal that Fossil plans on launching multiple devices across its brands based on the new tech. "Right now we're focused on finishing off development of the product," he explained. "The Fossil Group will bring the product to market, across our full breadth of brands over time, and then in true Google fashion, the technology will be expanded across the industry over time to benefit all." We pushed Burr on whether this meant that the much anticipated 'Made by Google' smartwatch was now more likely but, while she confirmed having the technology in-house makes Wear OS stronger, she was keen to stress that the new technologies would be available to all of Google's existing and future partners. "We're very optimistic about the future of smartwatches and the role for Google, Wear OS and our partners within that evolving space. This is a very vital category and we will continue to invest and be part of this dynamic ecosystem." Very interesting, sounds like we should have more details from fossil way before Google announces anything? Hopefully before the autumn. Wonder what it could be? I'm hoping it's some kind of battery life extending tech. Its unlikely to be battery related. Other quotes from Fossil/Google state its a new category of technology. That is, not health or fitness.